Company Profile : Miss India or Femina Miss India is a national beauty pageant in India that annually selects representatives to compete in Miss World, Miss Supranational, Miss Grand International and Miss United Continents. It is organised by Femina, a women's magazine published by The Times Group. The Times Group with its flagship company Bennett, Coleman and Company Limited (BCCL) is India’s largest media conglomerate. Miss India is India"s oldest and most credible beauty pageant with lineage of 56 years, owned by Times of India Group. The pageant explores and brings together young talent for the fashion, lifestyle and entertainment industry. In its 56th year, fbb Colors Femina Miss India will be touring across 30 states which would be further segregated into two categories, State Auditions and State Crowning in Each Zone. State Auditions: One day scouting activation to be conducted at the fbb Store of all the states (subject to availability) and shortlist prospects for the next level. State Crowning in each Zone: The 30 states of the country are segregated in 4 zones, wherein each zone will be having a crowning ceremony, gratifying the state winner falling under their respective zones. The winners (30 state representatives/ fbb Colors Femina Miss India 2019 finalist) will then directly advance to Mumbai for the training and finale of Miss India. - 26 & 27 years old can only compete for the Runnerup positions as the eligibility for Miss World is 18-25 of age (25 as of 31st December 2019). Citizen of India who holds an Indian passport and has temporarily emigrated to another country for six months or more for employment, residence, education or any other purpose.Overseas Citizenship of India [OCI] card holder, The citizens who come under this category enjoy all the rights of an Indian citizen as any other citizen holding an Indian passport. OCI Card holder cannot be the winner of Miss India but can only be the first or second runners up and can represent India at other International Pageants. There would be NO Bikini round during auditions. -The applicant must agree to abide by all rules, as changed from time to time by the Organisers. certificate, school leaving certificate, driver"s license, etc). a child; have never been pregnant nor been a parent. -The applicant should be a natural born female. -The applicant should be a bonafide Indian citizen, holding a valid Indian passport and should be a resident of India as per the applicable laws of India . such a relation, the applicant must disclose the same immediately. -The applicant should not be under any commercial contract with any modeling agency at the time of appearing for the auditions. -The applicant once shortlisted cannot be a part of any other commercial contract or pageant. -The Organisers are not responsible for any delays or non-receipt of applications on any account and for any reason whatsoever. -The applicant should not have won the pageant previously. expenses (travel & stay) will have to be borne by the participant. -The applicant will have to participate in a disciplined and diligent manner throughout as per schedule given. will participate at her own risk and can have no claim against ABSL or any other Times of India group company in any regard. -Incorrect information will result in disqualification, whether discovered prior to, during or after participation. -The decision of the judges is final in all cases. -Only persons of good health, sound mind and having no medical history of any mental illness and having a good moral character can participate made herein. -The applicant does not have any cases (criminal or civil) registered against her. -Only the applicant will be allowed inside the designated venue of the preliminaries. -The schedule of events and qualification rounds are subject to change at the discretion of the Organiser. -The Organisers are not responsible for non-completion / non-occurrence of the event. -In the event of any dispute, the Organisers decisions are final and binding on the applicant. -The courts of Mumbai have the jurisdiction over all disputes. 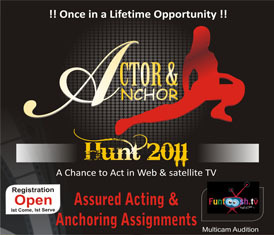 PLEASE DO NOT COURIER YOUR DOCUMENTS TO US, YOU CAN BRING THEM DIRECTLY AT THE VENUE FOR AUDITIONS AND REGISTRATIONS. srur72 Enter the letters as they are shown in the image . This is only to identify that you are human. 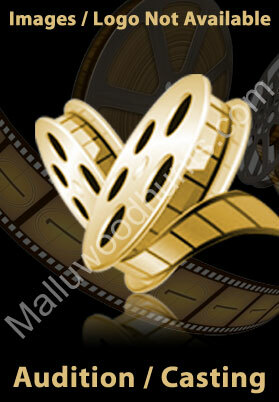 Malluwoodhunts.com is a public web portal owned & operated by AVS WEBS PVT. LTD. with free access and AVS WEBS assumes no liability for the genuineness and quality of response(s)/vacancy(s)/audition(s). AVS WEBS cannot monitor the responses that a person may receive in response to information he/she has displayed on the site. The individual/company would have to conduct its own background checks on the bonafide nature of all vacancy(s)/audition(s)/response(s). AVS WEBS will not be liable on account of any inaccuracy of information on this web site.